A romantic historical adventure novel set in the Alaskan wilderness in the winter of 1885. 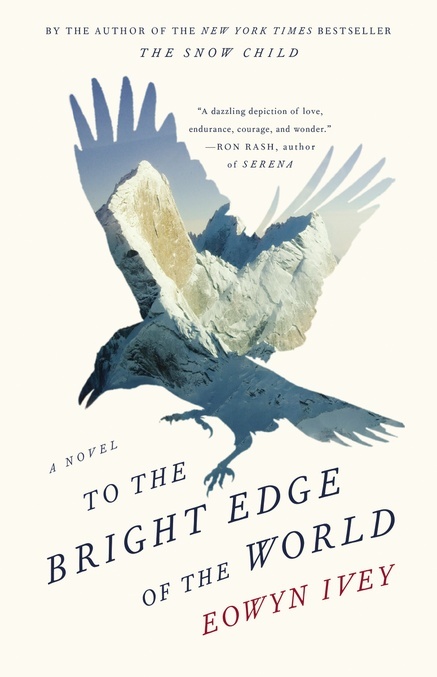 To the Bright Edge of the World" is a stunning and subtle performance ... One of the many wonders of To the Bright Edge of the World is the skillful, confident way it invests the elemental with human dimensions. This is enchanted writing. Ivey is a gifted storyteller and a lyrical prose stylist, but this historical novel’s foremost strength may be its contemporary relevance ... We often count on our artists to see the wild beauty our civilized eyes no longer can, to remind us, as Ivey does in her remarkable new book, what the land has allowed. Ivey’s characters, without exception, are skillfully wrought and pull the narrative forward with little effort. She does not stoop to blanket depictions of tribal life or Victorian women, and instead has created a novel with all of the fine details that make historical fiction such an adventure to read. Fans of The Snow Child will not be disappointed. What did you think of To the Bright Edge of the World?